French radio reporter Raphaël Krafft traveled the world for 20 years reporting on war and conflict. From the Gaza Strip to the Balkans to the Iraq War, he’d witnessed suffering and met countless desperate people, but he’d never intervened in their lives. Until 2015, that is, when Raphaël started covering the refugee crisis in France, and saw how his own country treated people fleeing wars in the Middle East and Africa. France closed its borders that year, denying migrants and refugees entry. Many people who did manage to make it into the country – including families with children – ended up living on the streets in camps with no access to bathrooms or running water. That October, Raphaël took a trip to the French-Italian border to report on how refugees were trying to sneak in, and how France was trying to keep them out. The French town of Menton sits right on the border with Italy. 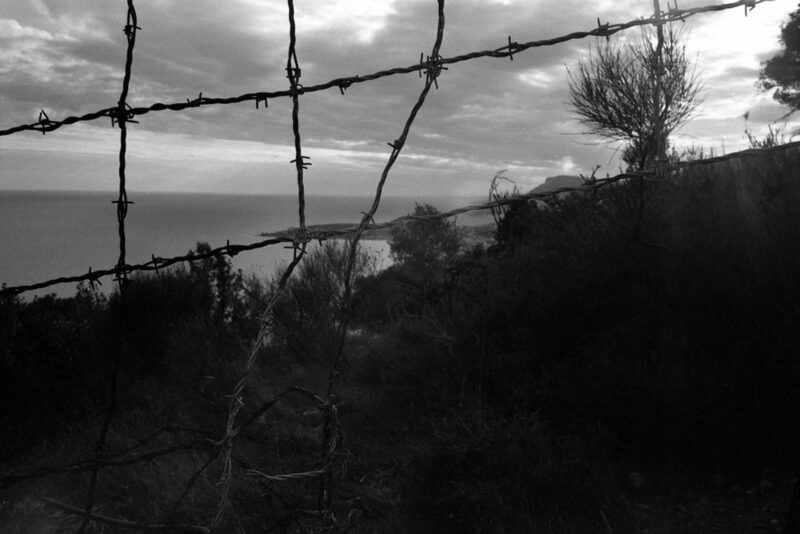 A barbed wire border fence stretches across the hillside above the Mediterranean Sea. 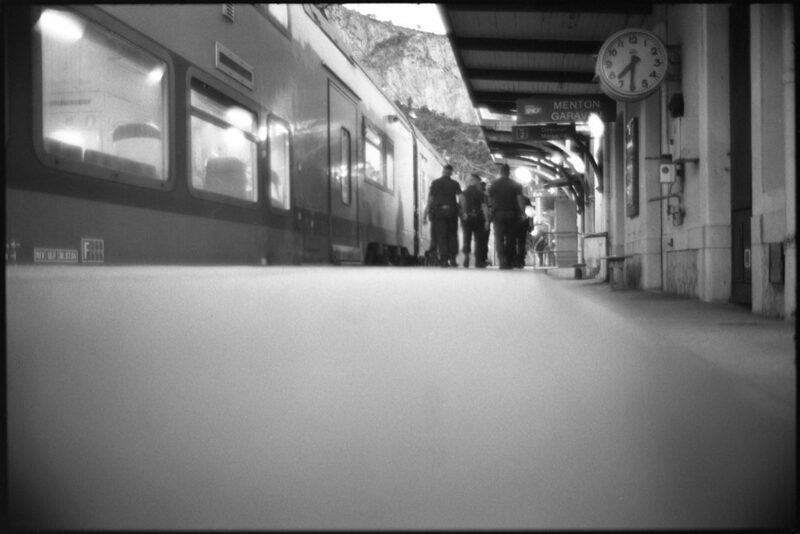 At Menton-Garavan, the first train station in France for passengers coming from Italy, French border police check every train to identify and deport refugees trying to cross into France. Just across the border from Menton, in Ventimiglia, Italy, hundreds of refugees gather to try to sneak into France despite this heavy border police presence. That’s where Raphaël met a Sudanese man named Ibrahim. Ibrahim said he had fled the war in Western Darfur, where the notorious janjaweed militia tried to force him to fight with them. When he refused, militia members burned the phone shop where he worked and blocked him from attending university. Ibrahim had crossed the Mediterranean with help from smugglers in Libya. He had his sights set on studying in France, which he saw as the country of enlightenment. Ibrahim had tried to sneak into France on the train twice, but he’d been caught and turned back to Italy both times. He was determined to try again. “So for me, my destination is France. I want to live there. I want to stay there. I am seeking peace and life and education, and that is it,” he told Raphaël. Raphaël can’t stand by and observe any longer. He told Ibrahim he would help him get to France. 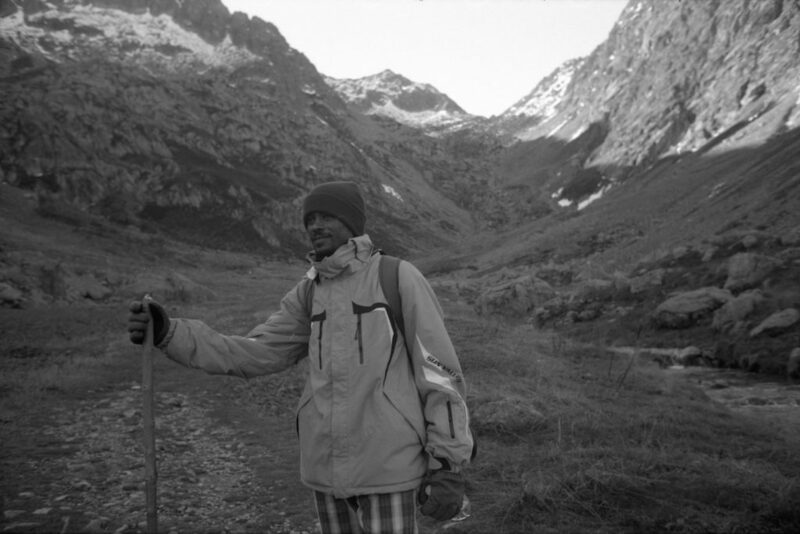 Raphaël made a plan to smuggle Ibrahim over the border, but not in one of the usual ways – not by train and not by car. 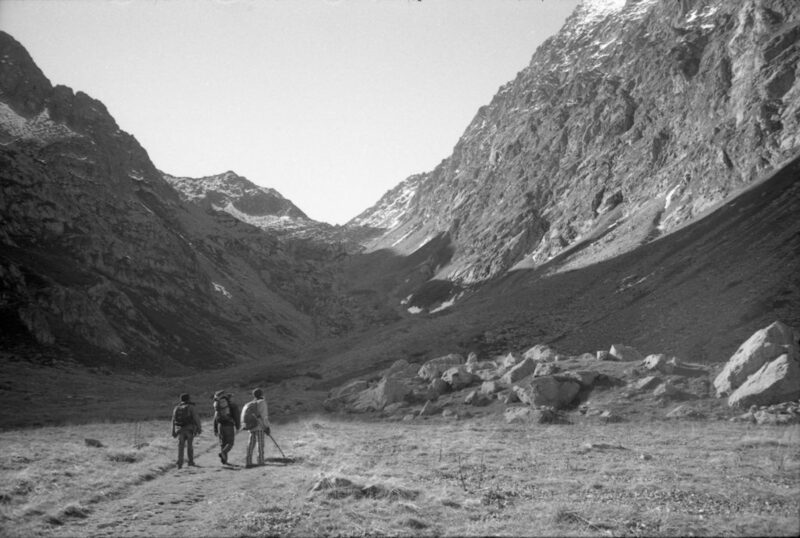 He’d guide Ibrahim over the Alps, on foot, a remote route that would both enable them to avoid the border police and provide the most beautiful introduction to France. Ibrahim agreed to go – but only if his friend Ahmad, also fleeing war in Sudan, could come along. 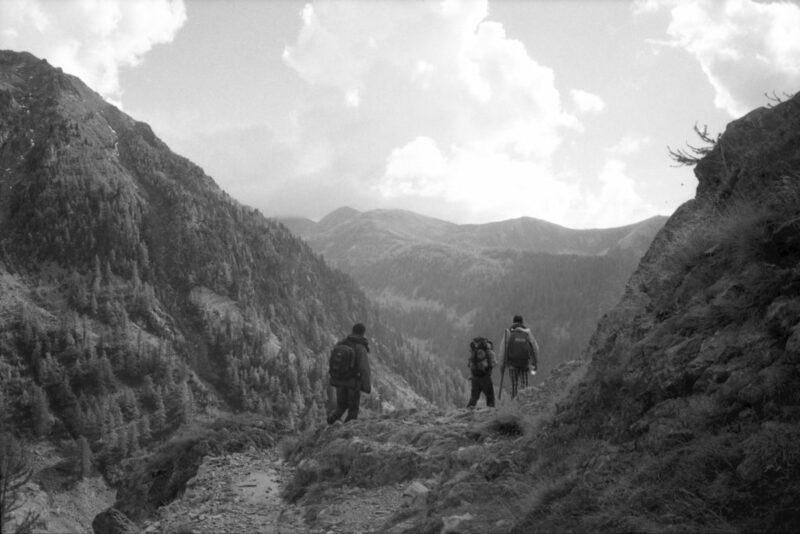 A few days later, around dawn on a chilly October morning, they set off to trek over a pass in the Northern Italian Alps called the Col de Fenestre. The hike took them up about 8,000 feet above sea level. 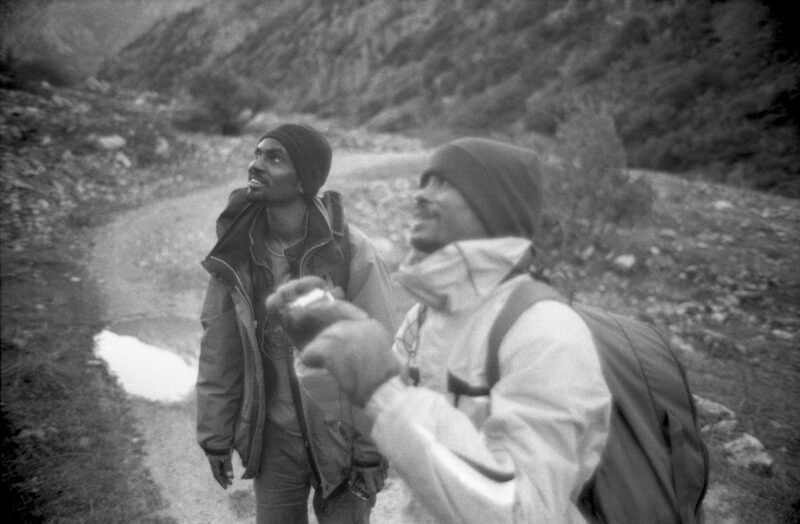 Almost right away, Ibrahim (left) and Ahmad spotted a chamois, a species of small antelope native to the Alps. Ahmad had once been a shepherd back in Sudan, caring for the cows of richer men. He said using a walking stick in the mountains reminded him of that time, and he hoped to be able to become a shepherd with his own cows in France. Raphaël had recruited a former shepherd friend of his own, a French man named Thomas, to guide them on the route that Thomas knew well. 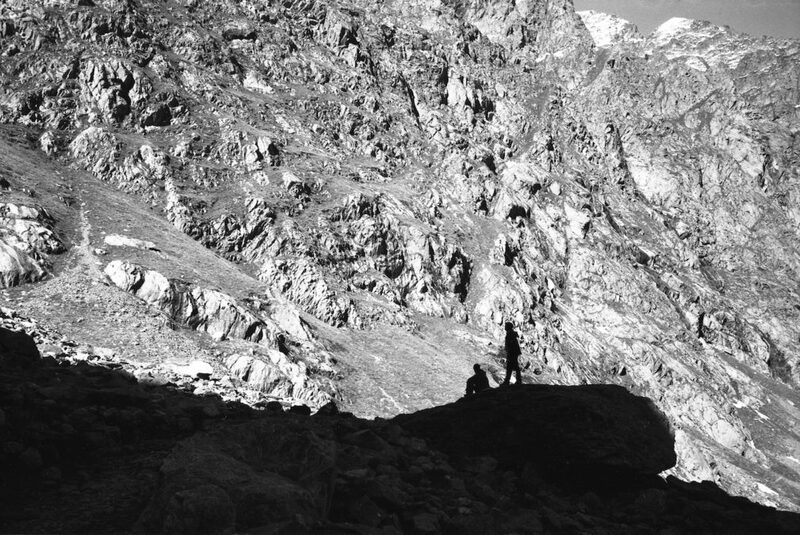 On their journey, Thomas and Ibrahim took a break, silhouetted against the granite mountainside. After six hours of hiking, they finally reached the border with France. 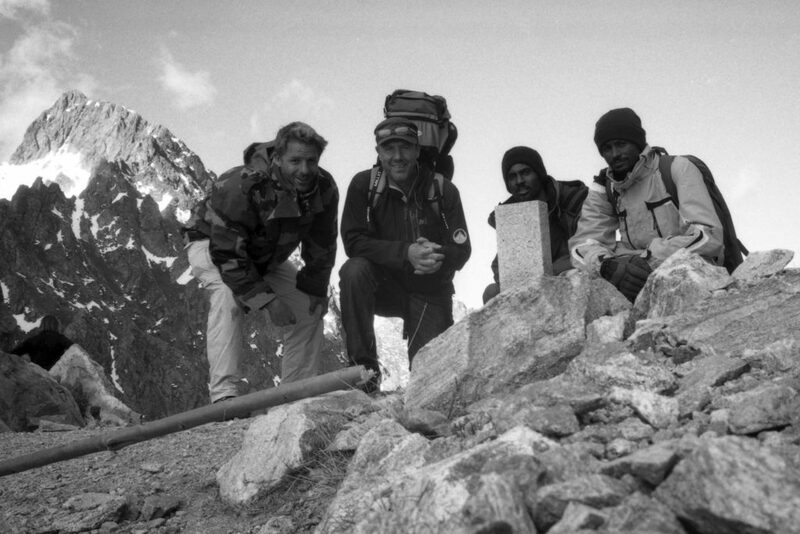 At the top of the pass, Raphaël, Thomas, Ibrahim and Ahmad (L-R) posed for a selfie by stones marking the border. Thomas guided Ibrahim and Ahmad on the descent, and into a hopeful but uncertain future in France. Laura Starecheski can be reached at lstarecheski@revealnews.org. Follow her on Twitter: @Starecheski.